Seriously good ingredients prepared with Nova Scotia’s seasons in mind. 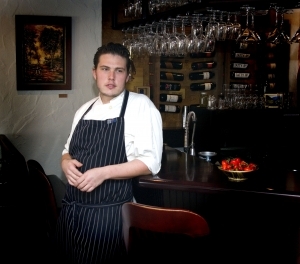 This is the story of Rime Restaurant + Wine Bar in Lunenburg, Nova Scotia. Local oysters, fresh mussels, artisanal cheeses and prime meats, fresh seasonal produce – the region’s finest – are presented in innovative takes on traditional classics. Whether for light afternoon fare, refreshing cocktails at the bar, or a carefully crafted chef’s menu, the relaxed atmosphere of Rime Restaurant and Wine Bar is a smart destination. After all, when we eat well, we live well. And feeding people well is what we’ve set out to do. The road to Lunenburg is a rainbow of rolling landscapes, weathered buildings and ocean views boasting postcard-perfect Maritime scenes. Lunenburg is the pot of gold at the end of the rainbow, and Rime Restaurant + Wine Bar is the coin I added to this pot of gold, in May 2014. Rime is named for the Samuel Taylor Coleridge poem, Rime of the Ancient Mariner, chosen to pay tribute to the nautical and cultural nature of this World UNESCO Heritage town. At Rime, we love to swap stories with our guests, whether they are visiting for the first time or we know them by name, and with the farmers, fishers and producers who are behind each dish we serve. Of course the food tells a story too – the story of the land, of the producers, the history of a region. Season to season, we are inspired by these stories and our flavours reflect that fresh, local, creative narrative. Rime is a unique opportunity to enjoy friends, family, and memorable meals showcasing the best ingredients of Nova Scotia. We look forward to your visit. Please note that the following list is a small sample of some of our offerings. For our most current menu, see the images above. Ask your server about our children’s selections. Gluten-free pasta is also available. Craft beer, wine from Nova Scotia and beyond by the glass or from the cellar, innovative cocktails… our serving staff will be glad to recommend a perfect pairing for your meal. Our wine list is subject to change based on availability. We always strive to offer the best local wines to suit a range of palates. Our knowledgeable servers are always happy to help you make a selection. At Rime, our focus is on offering local ingredients as often as possible. We thrive on nurturing relationships with our local producers and continually strive for sustainable farm to table practices. Fresh from the market, or local wharves, and through our front door – being close to the ingredients reminds us where our food comes from. April 8th, 2019|Comments Off on We’re back! And we’ve brought new menus with us! January 18th, 2017|Comments Off on Valentine’s Day 2017! Open for dinner starting at 5:00 pm, Wednesday to Sunday.